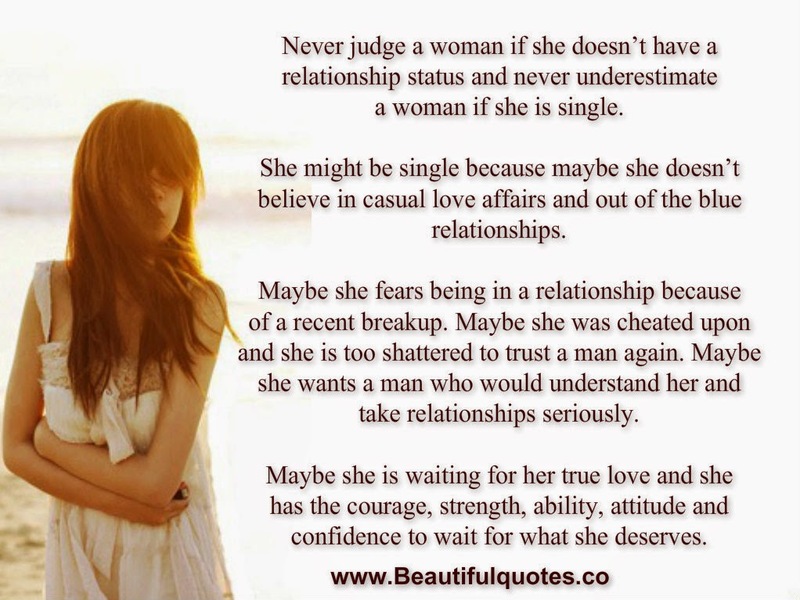 Never judge a woman if she doesn’t have a relationship status and never underestimate a woman if she is single. She might be single because maybe she doesn’t believe in casual love affairs and out of the blue relationships. Maybe she fears being in a relationship because of a recent breakup. Maybe she was cheated upon and she is too shattered to trust a man again. Maybe she wants a man who would understand her and take relationships seriously OR Maybe she is waiting for her true love and she has the courage, strength, ability, attitude and confidence to wait for what she deserves.